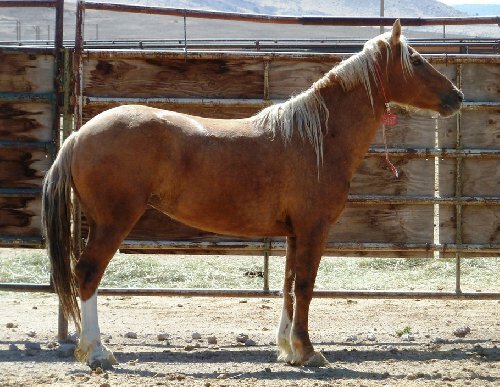 Protect Mustangs is working with members of the public to find homes for all the wild horses who were not adopted during the recent Bureau of Land Management (BLM) internet adoption. The unadopted are at risk of being sold to pro-slaughter people like Tom Davis. America’s living legends receive a strike against them every time they are offered for adoption. If they are offered on the internet and not adopted they get a strike and another internet adoption gives them another strike. If they are offered for adoption at an event and don’t find their person then they get their third strike . . . It’s a cruel system. 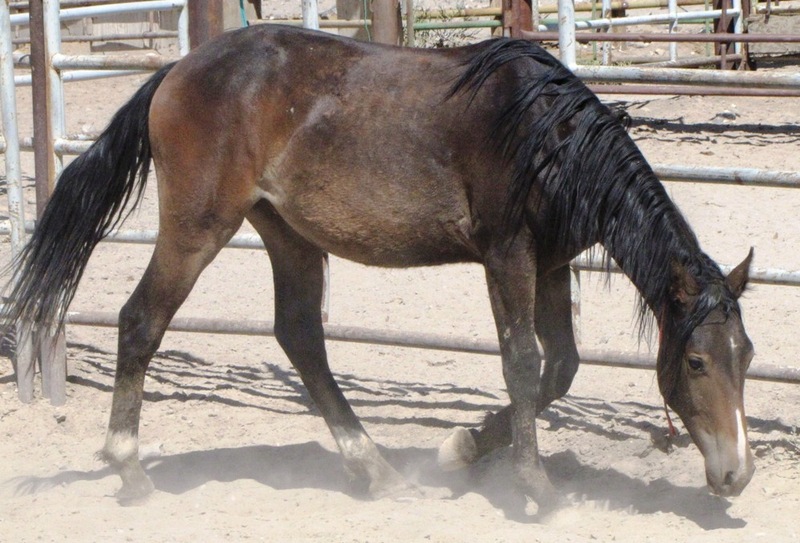 After three strikes the federally protected wild horses can be sold to anyone who signs on the dotted line that they won’t sell them to slaughter or for use as rodeo stock. The BLM doesn’t check that the buyers are complying so it’s a free for all. 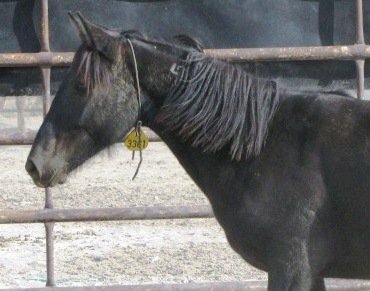 Members of the public may email Contact@ProtectMustangs.org to enlist their help in communicating with BLM for a smooth adoption process as well as getting information on trainers and transportation. Good News! 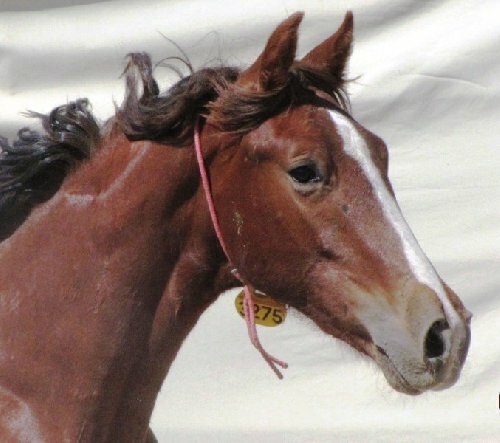 This horse has an adopter waiting for him at the Ridgecrest facility. Sam (#3275) is from California’s High Rock area and appears to be from cavalry stock. He is handsome and might make a nice little jumper or sport horse. 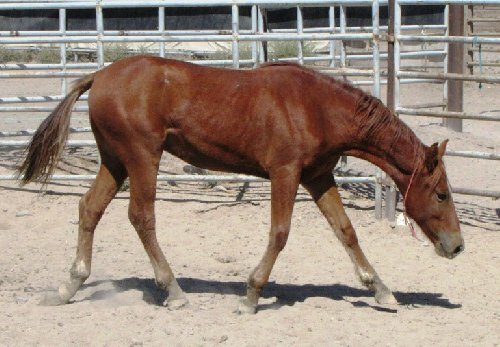 Here is Merlot (#9380) a yearling red roan gelding from Green Mountain, Wyoming. 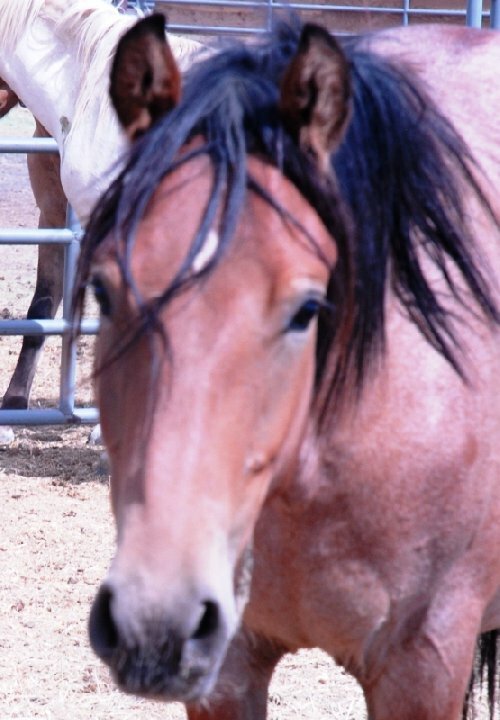 He is located in Rock Springs, WY and can be shipped to various locations. Stall, corral, etc. must be made of protrusion-free materials, (EX) Wood, Pipe, Cattle Panels. Barb wire is not allowed in the area that is being used for gentling the animal. Covered stock trailer. Covered stock trailer refers to: solid top, pipe rails, tarp, etc. BLM will not load into two-horse or drop-ramp trailers. Applicant must describe their stall/corral, etc. in the application packet and submit to BLM for approval.